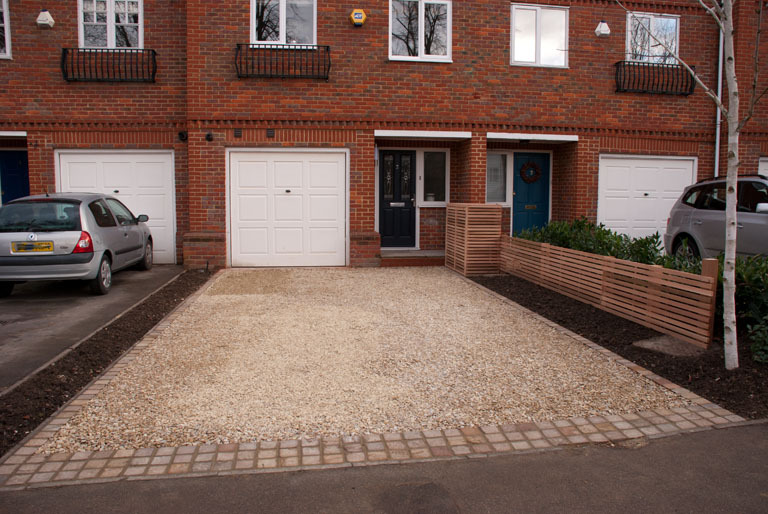 The driveway is constructed using Horcott, a really stable aggregate that needs very little maintenance. 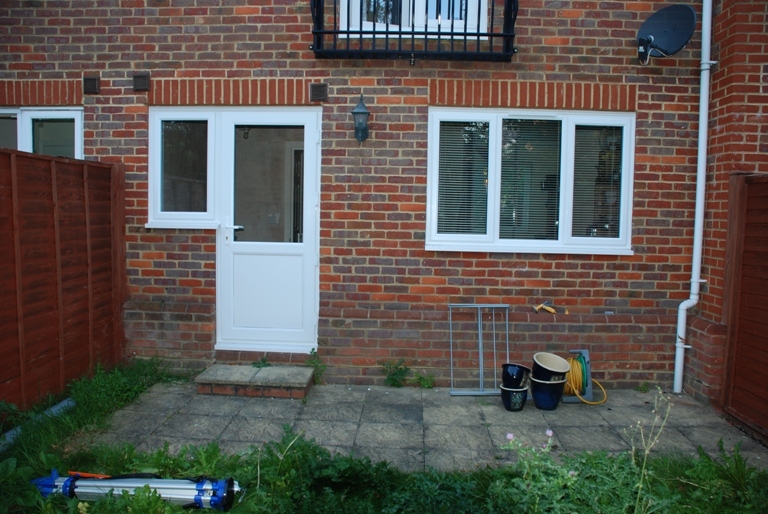 It has been edged with sandstone setts which tie in with the threshold step in the porch. On a turning driveway it’s still best to use stabilising panels (something like Nidagravel) but for a small “drive on, drive off” driveway like this one, it’s really not necessary. The terrace area outside the back door will be the main seating/dining area with scope for some lounge seating at the end of the garden on the decking area. 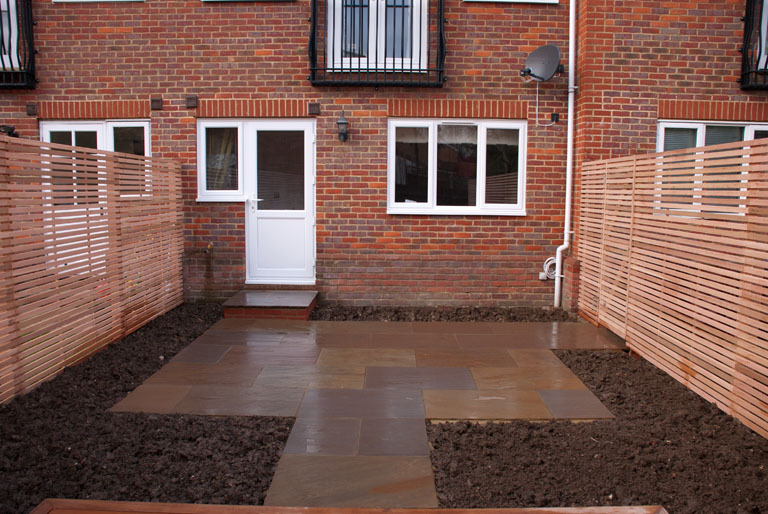 The small piece of paving at the end of the garden is the hard standing for 2 planters which will be added in the Spring to provide a focal point. You will notice that we have painted the fence on the end boundary black – this will really make the plants stand out when they are planted next year and eventually the fence will disappear. 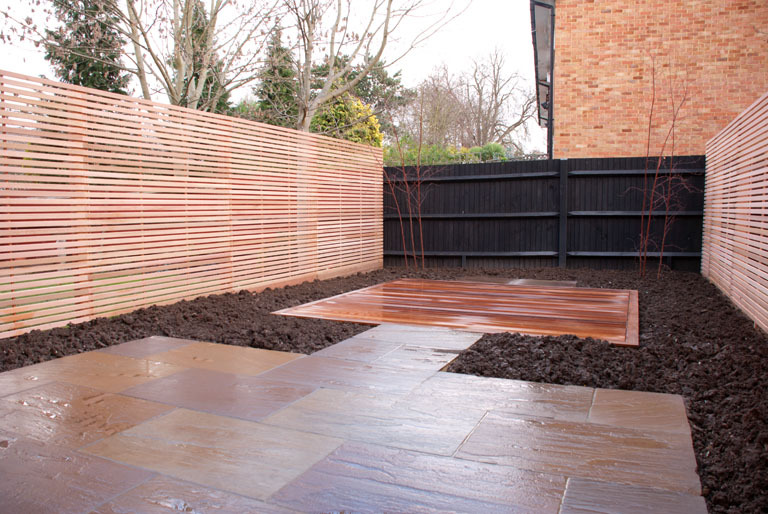 The cedar contemporary trellis panels give a more sophisticated feel to the garden and make it feel longer. 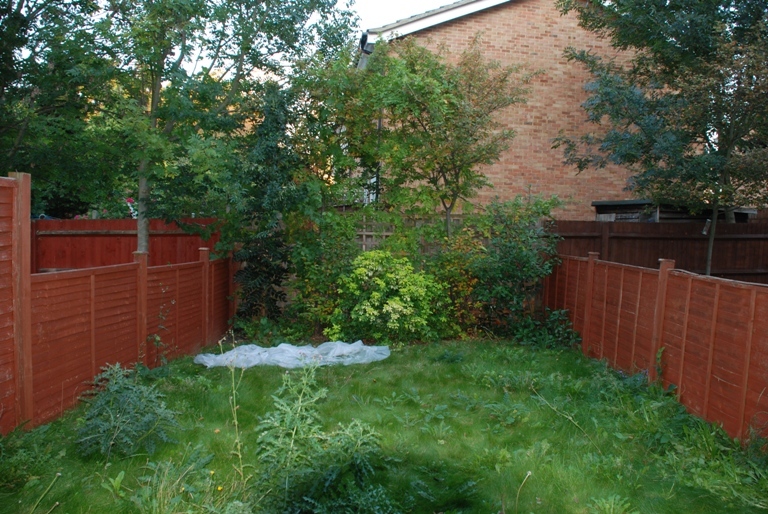 The gaps in the fence won’t be apparent once the planting has matured and filled out but they will help to bring light into the garden and they’ll also be more resilient to the prevailing winds which come across the garden from left to right in winter. When the garden is planted in the spring it will look different again but we’ll have to wait a couple of years before the planting really fills out and it feels as though it has always been there. The garden lighting will be installed following the planting – a simple scheme of 6-8 uplighters which will highlight the trees and a few choice shrubs. We will also install a basic irrigation system to see the planting through the summer months. I hope you’ve enjoyed seeing the garden from concept through to reality – do look out for future posts when I’ll show you the post-planting pictures. I am a very keen gardener and I’m enjoying all your garden ideas especially for the very small garden. 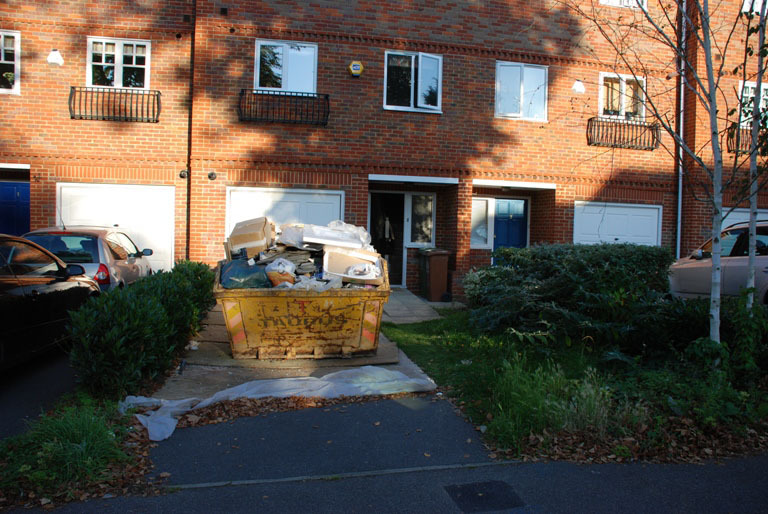 Refuse bins are such an eyesore in front gardens and you’ve hidden them very stylishly. Well done. Thanks so much Jennifer – so glad you enjoy reading my blog and, even more importantly, that you are able to take some tips away to apply in your own garden. Small gardens are always a bit more challenging as generally people want to fit the same things in as they would if they had a 1/2 acre garden!